To mark the selection of Mrs Annabelle Elletson, a St. Peter's Church Warden, as an Ordinand. First submitted Wednesday, 30 January 2019 at 22:53:35 by David Katz. 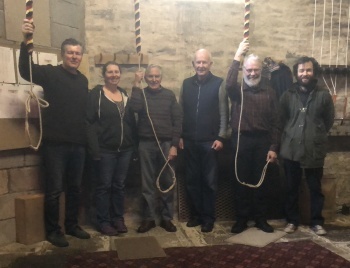 Sent for publication in The Ringing World on Friday, 1 February 2019 at 20:09:30, and printed in issue 5627.